Despite volatility in the stock market, the 30-year fixed-rate mortgage inched forward just 1 basis point to 4.86 percent this week. 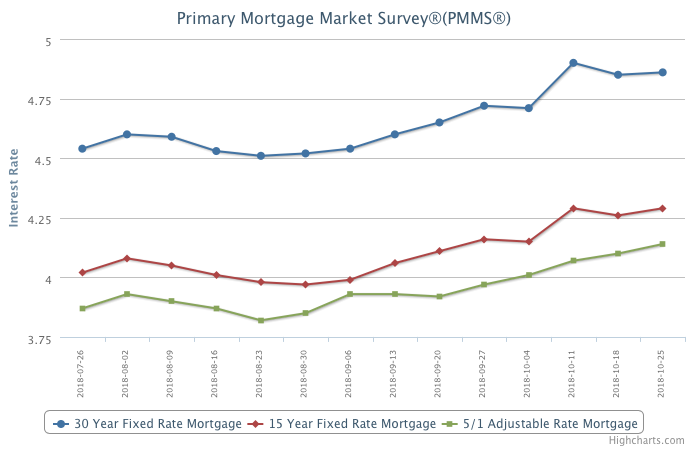 We expect rates to continue to rise, which will put downward pressure on homebuying activity. While higher borrowing costs will keep some people out of the market, buyers with more flexibility could take advantage of the decreased competition.